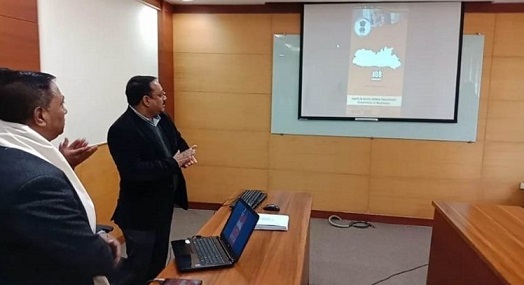 Meghalaya Health Minister A L Hek launched the 108 CitizenApp in Shillong on Monday. The app has been devised by GVK EMRI Meghalaya to make emergency services better and accessible. The highlight of the app is to provide immediate support to the people in need of emergency medical service and also to reduce the response time in way of making use of technology in a simple method but yet in an effective way. The app also enables to get valuable feedback for the service from the users in real time to share their experience with emergency services which will be evaluated to provide the best in class service delivery. The 108 GVK EMRI Meghalaya Android App is technically advanced approach to provide immediate support in case of medical, police and fire emergencies 24×7 and absolutely free of cost. It can access users real time GPS location. Once the user calls using the 108 Meghalaya App the location will be shared by the ERO with the ambulance team nearest to that location which will reduce the response time. Once the ambulance assigned users will be provided, online confirmation of case ID and vehicle information in the app will be uploaded itself. Users can provide feedback for each and every case assigned to share their experience. It can be used in 2G/3G/4G in all types of network with a working internet connection. The app can be downloaded and installed from the Google Play Store. It is available as ‘The 108 GVK EMRI MEGHALAYA App’.